Plants often must handle slurries in applications ranging from processing to wastewater treatment. Dealing with such mixtures of liquid and solids is challenging and difficult. Some key elements in slurry pumping are the size and nature of the solids in the liquid and the kind of the abrasive wear they cause. Another is the corrosiveness of the liquid or the mixture. Sites frequently rely on centrifugal slurry pumps for slurry services. These pumps (and their associated piping systems) need special provisions that call for a detailed knowledge of the solid and slurry properties to prevent wear, corrosion, erosion and other adverse effects such as settling of the solids. Specifying the optimum combination of speed, geometry and materials requires properly balancing often conflicting pump priorities; this demands consideration of stable operation, maximum wear life, operational flexibility and minimal energy consumption. In this article, we’ll cover practical guidelines and rules for centrifugal pumps for slurries. We’ll also discuss key operational features, material selection and other considerations. 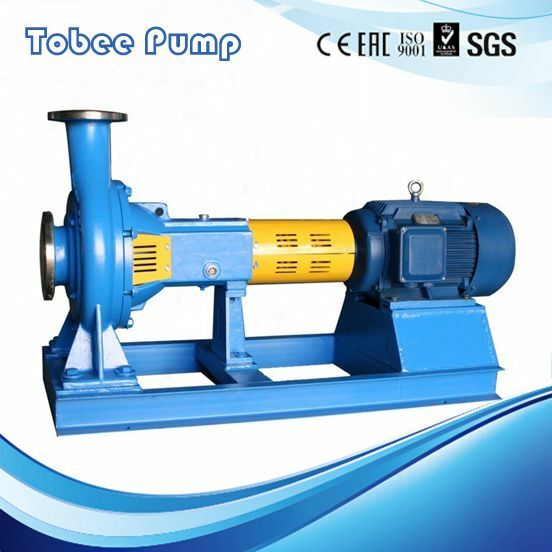 Horizontal centrifugal slurry pumps usually are used for slurry services, although vertical and other types of pumps are favored for some specific applications. Centrifugal slurry pumps for handling slurries have features tailored to the particular service that reflect the corrosive or abrasive nature of the slurry and the solids concentration. These may include choice of materials, use of liners and even different driver sizing. The first major requirement of a slurry pump is to provide adequate service life. Erosion and corrosion effects of slurries, such as the impingement of high velocity flow of liquid/solid mixtures, are really challenging. 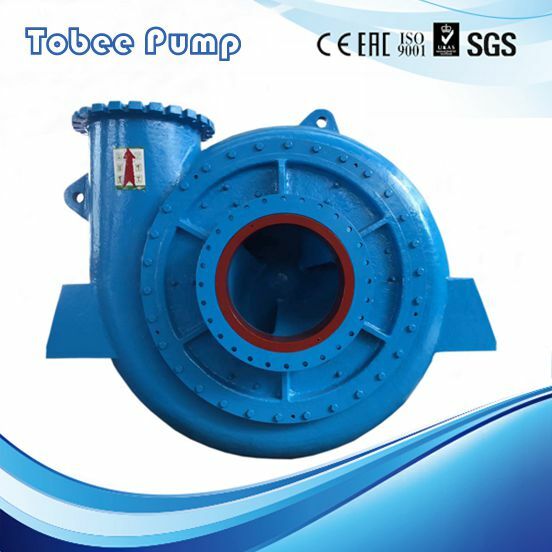 In many applications, some solids in the mixture are larger than usually specified particles; so, the slurry pump should be able to pass them without any damage or operational problems. As a result of such requirements, a slurry pump often is larger than its clear liquid counterpart. Moreover, it generally sacrifices efficiency, both maximum efficiency and efficiencies over the whole operating range, in exchange for the ability to achieve good operation in these challenging services. Because wear is a function of velocity, a slurry pump’s speed should be as low as possible; units usually operate at 1,200 rpm or slower. Often, direct coupling between the slurry pump and a low-speed electric motor or other driver makes most sense. On the other hand, many other applications favor gearboxes to meet the desired speed and duty point. In services requiring variable flow, variable frequency drives are used to provide the necessary continual speed changes. Although the emphasis on a slurry pump tends to be on the size and percentage of solids to be pumped, corrosion resistance is also an important factor for material selection in many applications. In such cases, the material chosen must provide an adequate combination of both erosion and corrosion resistance. For slurry services, a slurry pump operating on the left of the pump performance curve or at the best efficiency point (BEP) is usually preferred; as an indication, the rated point should lie somewhere between 85% and 100% of the BEP point. The performance curves of many centrifugal pumps are based on handling water. So, to obtain the performance characteristics for these slurry centrifugal pumps, you must modify the results for the presence of solids. Many correlations and correction methods exist for predicting the performance of centrifugal pumps when handling slurries; these account for factors such as individual effects of particle size, particle size distribution, specific gravity and concentration of solids. They usually provide a head reduction factor and efficiency reduction factor for slurries compared to clear water. However, every slurry pump has unique service-specific factors for a given application. You should verify these by experiments. • hydrodynamic properties of the flow (Reynolds number, etc.). Turbulent flow analysis usually isn’t applicable for slurry pumps because the presence of solid materials will directly influence the turbulence parameters. The mechanisms of turbulence become a complex problem particularly for dense slurries. This, combined with the nature of the flow inside a slurry pump, which is characterized by unsteadiness as well as deformed velocity distribution patterns, cause a very chaotic situation. However, some simple rules have been verified both in theory and experiments. For instance, the erosive wear rate is proportional to the flow velocity. It also depends on the solids concentration; as that concentration increases, so, too, does the wear rate. In addition, the sizing and specific gravity of solids in the slurry affect wear. As a very rough indication, in medium and low concentrations, the mechanism of erosion resembles cavitation erosion. Here are some observations about a slurry pump that operated for a short period with low concentration slurry and then with a moderate concentration one. With the slurry at low concentration, the suction side of the blade showed very limited erosion at the leading edge while the rest of the surface was nearly unscathed. Most of the erosion of the back shroud was concentrated in the eye of the impeller and around the leading edge of the back-shroud corner. The maximum erosion appeared on the leading edge and towards the back shroud of the impeller. This slurry pump, operated with a relatively higher concertation slurry, showed a similar erosion pattern — with the only notable difference being that the region close to the back shroud was more heavily eroded. Unfortunately, here and more generally, theoretical studies don’t properly predict the level of erosion. To cope with wear, slurry pump designers generally rely on two options: use of thicker components or liners. In the first approach, designers apply thickness allowances depending on estimates of erosion and corrosion of each part or component. Such slurry pumps feature thick sections for all parts and components in contact with slurry including impeller and casing; those elements subject to high speed flow of slurry or solid impingements receive a greater thickness allowance. In the second method, the designers provide wear liners on slurry pump internals; many such pumps are fully lined internally. 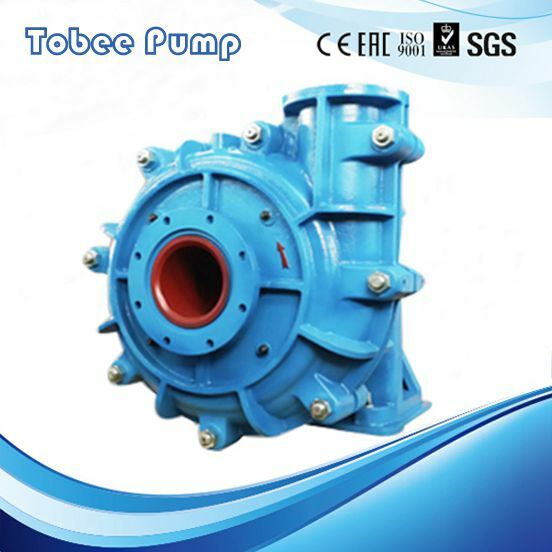 A lined slurry pump, if properly done, can allow use of a wider variety of materials and also cost-effective application of exotic (expensive) materials. An unlined slurry pump may offer lower initial capital cost. However, a properly lined slurry pump usually affords a greater number of material choices, which may result in longer wear life and lower replacement spares cost. The lined surry pump also is inherently safer from a pressure containment standpoint because, in slurry pumps relying on added thickness for components, corrosion and erosion over time might reduce the thickness to below the original value. Large clearances within the impeller and casing allow for the passage of large diameter solids, while also reducing internal velocities and corresponding wear. On the other hand, proper design and installation of liners can pose challenges — many slurry pumps with liners have failed because of such inadequacies. The materials used for wear components are hard metals, elastomers and, to a lesser extent, ceramics. Hard metals and ceramics combat erosion due to their high hardness values. Elastomers combat erosion by absorbing the energy of an impacting particle due to their resilience and tear resistance. Elastomers often can provide better erosion resistance in some applications. As a very rough indication, these are services where particle size is smaller than 250 microns, impeller tip speed is within the limits of the application of elastomers, and there’s no risk of large particle damage. 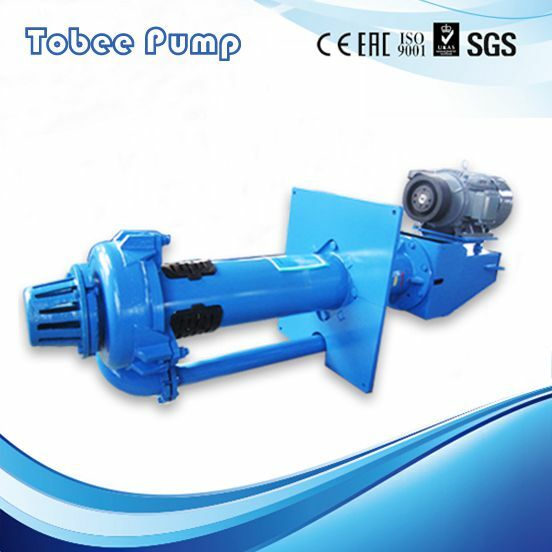 Elastomer-lined pumps have been successfully used in numerous slurry services. Many metals have been used for slurry pumps. The ASTM A532 standard for abrasion-resistant cast irons covers the three basic types — “Martensitic White Irons” (Class I), “Chromium-Molybdenum White Irons” (Class II) and “High Chrome Irons” (Class III). These materials, which are made by melting processes, have been alloyed to achieve high resistance to abrasive wear. The bulk hardness of these alloys depends on many factors and parameters — for instance, not only upon the carbide and matrix type but also upon the volume of the carbides within the matrix. For slurry applications with small particles, microstructure, with smaller inter-carbide spacing, is particularly important to minimize erosion of the softer matrix. For slurry services with medium to large particles, the bulk (combined) material hardness is key. For applications with very large particles, fracture toughness of the matrix is important. These tend to be larger than their clear liquid counterparts. Achieving a given head and providing more material for wear purposes requires a lower impeller speed. Minimizing speed and maximizing wear life of both the impeller and suction side depends upon a proper configuration. High wear applications usually call for closed-type impellers. In applications with coarse particles, expelling vanes on the face of the front shroud make sense. These vanes prevent large particles from becoming trapped between the impeller and suction side liner and minimize recirculation. The benefit is reduced gouging and recirculation wear at the expense of a 2–3% drop in efficiency. In addition, expelling vanes often are used on the back shroud of the impeller in coarse particle applications to prevent the trapping of large particles between the impeller and back liner. In this location, they also serve to decrease the forward axial load by lowering the pressure acting on the back shroud and beneficially reducing the pressure at the hub. The decreased axial load improves bearing life. All these effects also cut the pressure differential at the shaft seal and reduce the tendency for slurry leakage from the pump. As with expelling vanes on the front shroud, back vanes usually absorb 2–3% of efficiency. To combat wear and allow for passing large diameter solids, many slurry pump impellers feature fewer but thicker main pumping vanes. Both of these factors further contribute to reduced efficiency compared with clear liquid impellers. While a clear liquid impeller usually has five to nine vanes, most slurry pump impellers have two to five. Applications requiring large particle passing often employ pumps with two or three vanes. Slurry pumps use short blocky vanes in contrast to the thin long-length, long-wrap vanes found on high efficiency pumps for clear liquids. Slurry pumps usually require sumps or suction tanks to act as suction source or intermediate storage for slurries. However, lack of detailed knowledge about the slurry pump’s behavior and sump hydraulics often leads to oversizing. The larger the sump or storage tank, the more likely it may become a settling tank for solids. For some services, the accumulation of solids leads to other problems, for instance, the build-up of harmful gases, and requires periodic desludging of the sump or tank, which increases operating costs and reduces overall safety and reliability. The optimal volume of suction storage, in this context, should prevent the settling of solids while avoiding problems for pump operation.